What is someone who believes in the Bible to make of all the violence in the Old Testament? Only 6 chapters into the book of Genesis, God is already planning on destroying the world with a flood. 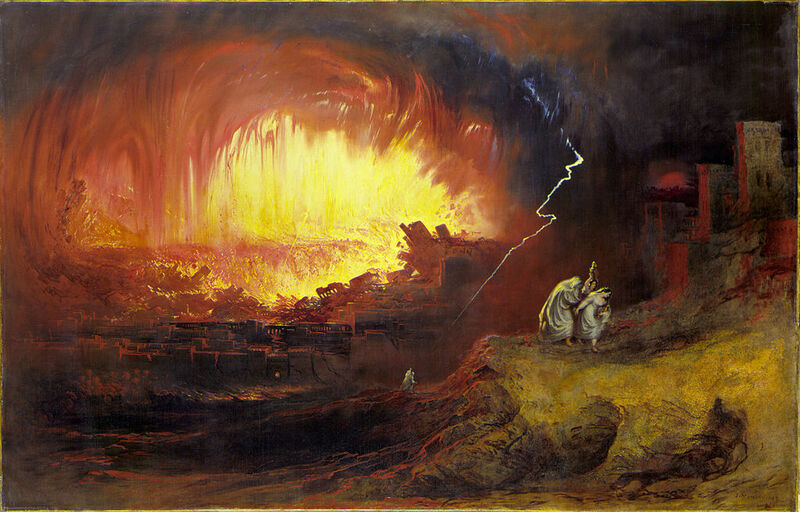 A few chapters later, God rains down fire and brimstone on the cities of Sodom and Gomorrah (Gen. 19:24). In the next book of the Bible God sends plagues on the Egyptians and kills their firstborn (Exod. 5-12). Furthermore, He leads His people out of Egypt for the purpose of giving them a land that belongs to others (the Canaanite peoples) and He commands Moses and Joshua to “utterly destroy” them (Deut. 7:1-2). Violence in the Old Testament is also confronted in its characters. A man named Shechem rapes Dinah, Jacob’s daughter. In retaliation, Jacob’s sons deceive Shechem and his father who convince the whole town to be circumcised. While the men are recovering, Jacob’s sons slaughter all the males and plunder the city (Gen. 34). Such stories can be multiplied. For example, the book of Judges is filled with stories of violence. Ehud slays an obese Moabite king with trickery (Judg. 3:21-22), Jael drives a tent peg through the skull of the Canaanite commander Sisera (Judg. 4:21), Jephthah offers up his only daughter as a sacrifice (Judg. 11:39), and a Levite’s concubine is gang raped by the men of Gibeah. The Levite responds by chopping her body into 12 parts and sending them throughout the tribes of Israel (Judg. 19), which precipitates a civil war leading to more atrocities such as the near annihilation of the tribe of Benjamin, and the kidnapping of women to marry the few remaining males of the tribe (Judg. 20-21). These stories disturb our moral sensibilities (as they should). Frequently the bible-believer is embarrassed by them and would rather act as if they don’t exist. Many Christians simply focus on the New Testament. The Old Testament is like the elephant in the room that we pretend is not there, or we try to find some way to apologize for it, much like we would for an awkward relative. 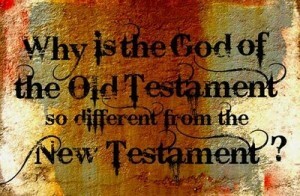 One historical solution, thankfully rejected by the Church, was to label the Old Testament and its “god” as inferior to the God of the New Testament. The 2nd century heretic Marcion took this view and rejected all of the Old Testament. Writing over 50 years ago Bernhard Anderson recognized a similar problem within the Church that continues to this day when he wrote, “Meanwhile the ghost of Marcion lingers on, appearing more in indifference to or ignorance about the Old Testament than in vehement theological debate” (The Old Testament and the Christian Faith, p. 5) But it is important for the Church to wake up from its indifference to the Old Testament, because the Bible is coming under attack from the so-called “new atheists.” These new atheists, including names which have become familiar to many such as Richard Dawkins or Christopher Hitchins, are forcing Christians (and Jews) to take a hard look at their Scriptures. Fortunately, there are voices within the Church who are responding to these criticisms with reasonable, well-argued responses. (See e.g., the debate between Christians and Atheists in: Divine Evil? The Moral Character of the God of Abraham). My desire in this series of articles on Violence in the Old Testament, is to examine some of the objections raised by the new atheists and unbelievers that you and I might come into contact with. I’m not a philosophical theologian (most of us aren’t! ), or a giant intellect. My interest in this topic is motivated by several factors: 1) I believe the Old Testament is the Word of God and as such, I need to have good reasons for believing that; 2) as a student and teacher, the Old Testament has greatly impacted my life for good and I think it’s important to share some of that journey and experience; 3) I hope to kindle a desire among Christians who read these articles to take their study of the Old Testament more seriously, and to not be afraid of its contents; 4) I hope any non-believers who read these articles will approach the subject with an open mind, and I welcome them to offer their comments as long as it is done in a kind, non-combative way which seeks to advance understanding. I promise I will respond with a similar spirit. At this point I am not sure how long I will extend this series but my desire is to take it in small bite-sized chunks, dealing with different problems and responses in each article. Part of it depends on the interest generated by you the reader and whether you find the discussion helpful. I welcome all comments and questions, as well as any insight that others may wish to contribute, but again I ask that the comments and questions be made in a spirit of goodwill with a view toward advancing knowledge and understanding. I do not pretend that I will be able to answer every difficulty presented by the violence in the Old Testament, nor do I think that there is one answer that will solve every objection. This is a complex and serious issue which requires various responses. Before delving into the problem and various responses, in my next article, I will give a little more personal background as to why this subject is important to me. Following that, we will begin to look at the problems raised by Violence in the Old Testament. Hi Randy, I am currently reading the Old Testament using you version. I still consider myself a new christian (which I’d rather be called a follower of Jesus) so I am still learning. So far my belief of all the violence is so that we can understand that we should fear God in a loving sense. He doesn’t choose violence, it seems to me people choose it. We are always for warned. I think we need to focus more on how many times he gave us another chance. I’m not a scholar of any sorts, just a follower of what I believe I have learned this far, and Lord knows I still have a lot to learn, so I am very interested in following your studies. Thank you Lisa. I appreciate your comment. It is true that God always warns of impending judgment. This is part of His merciful nature. We will look at this in more detail in a future article. God bless! Randy, I look forward to your series. Thanks for taking this on and sharing what the Lord has taught you with the rest of us. I look forward to being better equipped to approach these difficult issues with better understanding & Holy Spirit inspired wisdom. God bless you & Gloria! Thanks Mark. Please feel free to contribute to the discussion in the future. God bless! Randy, anyone who has read through the Old Testament has most likely come across judgments of God that seem perplexing and disturbing. As you may know, last year I read the Old Testament with Audra. There were times she couldn’t understand the actions of God but today she has a fuller understanding of the character of God and how his love and wrath are found in both testaments. Thank you for your email responses to her when she struggled with trying to understand. Thank you for doing this series. It is a much appreciated study resource. Thank you for the encouragement Becky! It was my pleasure to be of help to Audra and I am so thankful for the wonderful young woman of God that she has become. I met a guy at the gym and he asked if I believed in God and of course I said yes. Next, asked if I believed in the bible and said yes. Next, he began to tell me in an intellectual way that I was crazy and why did this God of the bible allow priests to sexually abuse innocent kids and began to cite current violence and old testament violence and Revelations future violent judgments. He caught me off guard and at the time, I likely did not respond right but often think about this person and other similar experiences I have had with either non-believers or believers who no longer believe or skeptics. My experiences have been that from an anti-God perspective, violence in the Old Testament as well as current times is often used to support their thought pattern that the violence makes it obvious that God cannot be the all-powerful-forgiving-moral Being. And therefore it is obvious that believers are delusional to believe in a Loving all-knowing God who also seems to indiscriminately kill. I know that God has moral sufficient reasons for the use of destruction in judgments but difficult to understand and impossible for non-believers. However, I once used the same reasoning to distance myself from God that the man was using who I met at the gym. Personal experiences had thwarted my view of God and I began to see the Bible as fables . 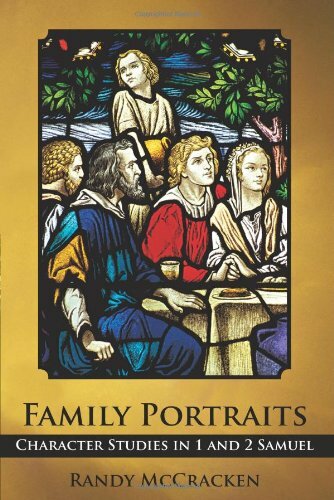 Eventually, I was saved and now understand more with even more of a need to know all of God and in both Old and New Testament teachings and look forward to this study. Thanks for your comments Bill. Your experience is exactly the kind of thing that has motivated me to write this series of articles. This is a very contemporary (and hot) topic. There are some good answers for those who are honestly inquiring and I look forward to sharing some of those soon! Thanks again Bill.